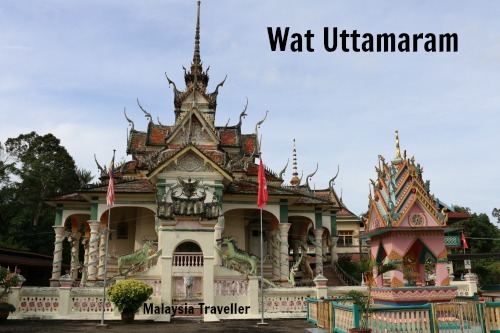 Wat Uttamaram is a Thai Buddhist temple at Teresek in Kampung Repek near Pasir Mas, Kelantan. 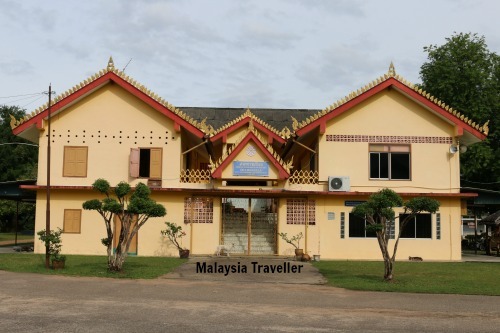 It was established in its current location around 1925 by its then abbot, Khron Ratchanaren, who later achieved some fame locally and came to be known as Tok Raja. When it was first built it was surrounded by dense jungle and only accessible by river. Furthermore the compound was said to be inhabited by demons with supernatural forces. Fortunately Tok Raja had a few miraculous powers of his own and was able to persuade his novice monks to persevere with their studies. This is the main temple hall with its ornate roofline and strange creature statues guarding the entrance. 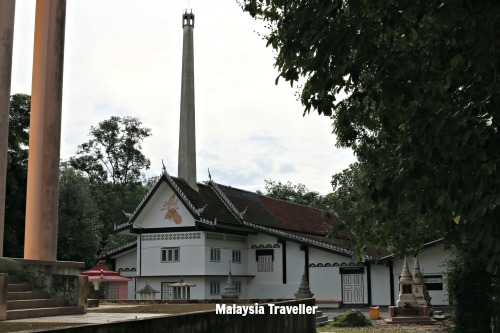 The Chief Monk’s Residence, where Tok Raja lived, is behind. 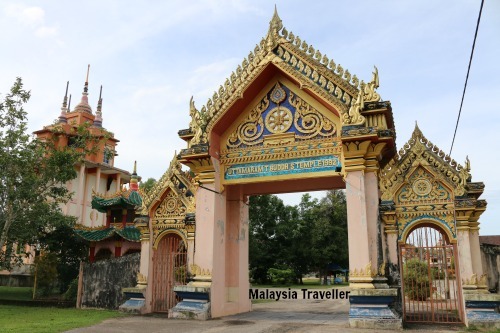 There around twenty structures in the temple’s compound including stupas, pavilions, halls, chief monk’s residence, a crematorium and pagodas. There are residential dormitories for both monks and nuns, a kitchen and dining hall, a band office, Thai language school and bell tower. To keep the monks and nuns active and fit there is a football field, badminton, volleyball and futsal courts. There is a children’s playground for visitors. The entrance gate to the temple compound. This building with its tall chimney is the crematorium. This is the Dhamma Pavilion where the monks live. Phra Vicaranayanmuni’s Stupa. Wild bees have built nests under the eaves. Kesaranusom Memorial Hall. Ashes are stored here, presumably of deceased monks. 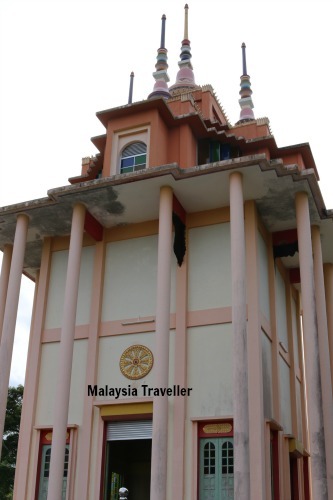 Tok Raja has a separate chedi as his tomb. I could not see a sign for opening hours but usually such temples would be open from 9am to 5pm with a rest period around lunchtime. There is a shop selling amulets which are highly prized by those who believe in their magical powers. It is not so easy to find and not well signposted. If you need to ask someone for directions, locals usually refer to the temple as Wat Bangsek (or Bang Saet). There is free parking for temple goers. 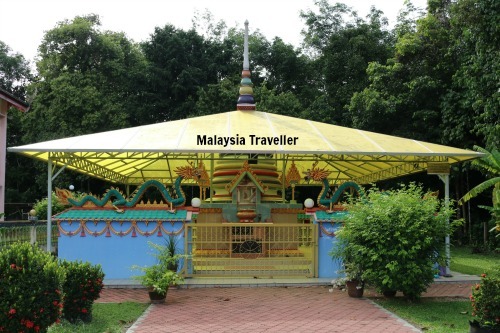 For more Thai Buddhist temples in Malaysia click here.